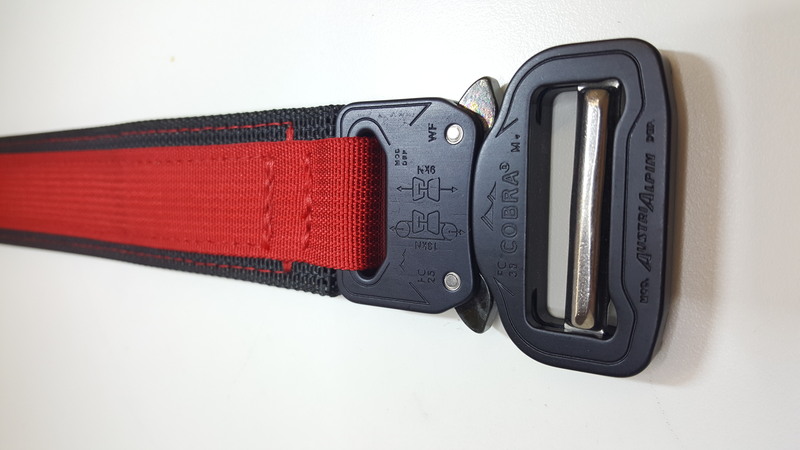 1.5'' x 1'' Hybrid Cobra Buckle:The AustriAlpin 1.5'' x 1'' Hybrid Cobra buckle... the newest choice in Every Day Carry quick release buckles. Rated to over 2000 lbs. 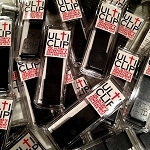 (9kN) they are the safest, most finely crafted and strongest load bearing buckles available anywhere. EASY-2-THREAD CHAMFERS:Webbing has been chamfered at critical points of contact to ease with threading the belt through your belt loops. 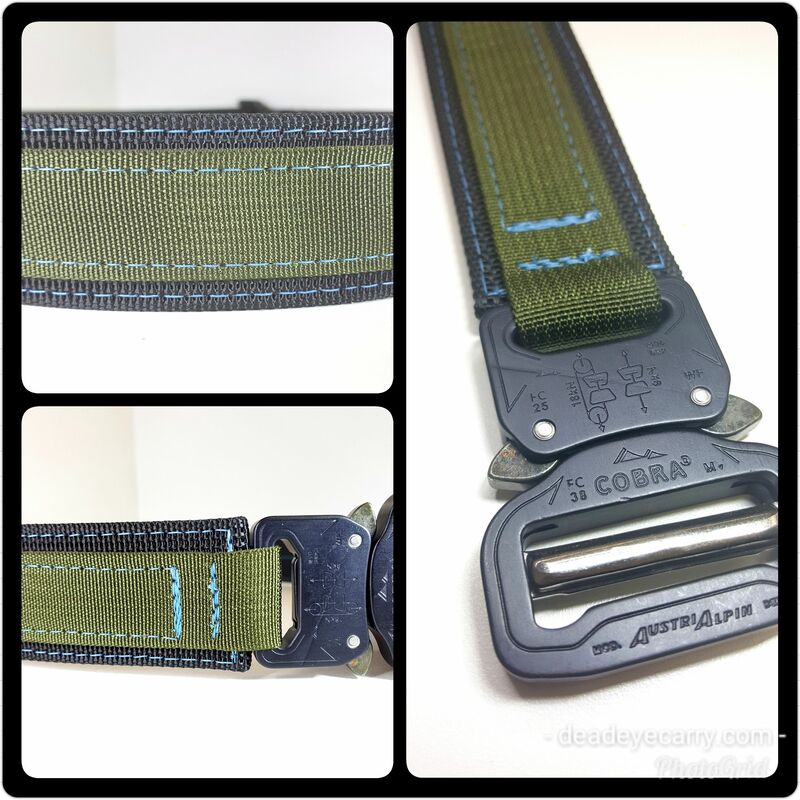 Belt Loop Friendly:The 1'' side of this Cobra Buckle fits through most belt loops! 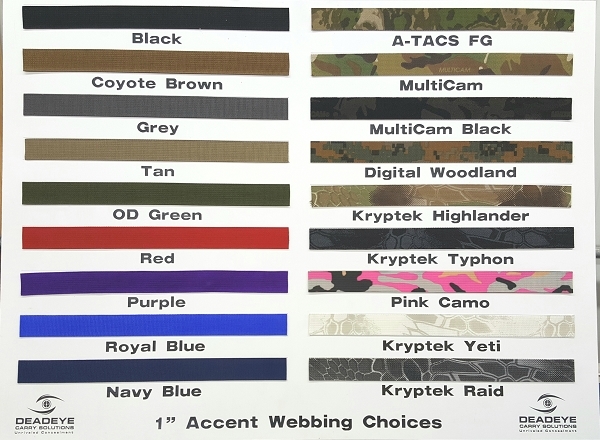 Personalize to your taste:More webbing and stitch color choices than the competition! This is the newest option for Every Day Carry (EDC). 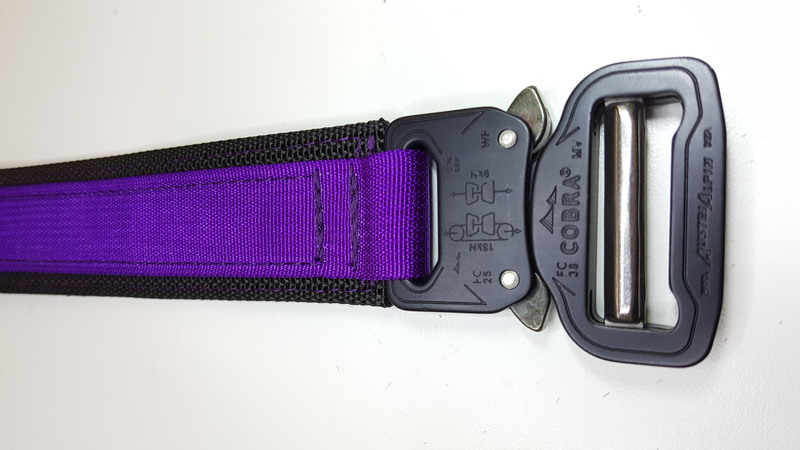 The female side of the Cobra buckle is the 1'' size and is permanently sewn onto the belt. This buckle size will feed through MOST belt loops. 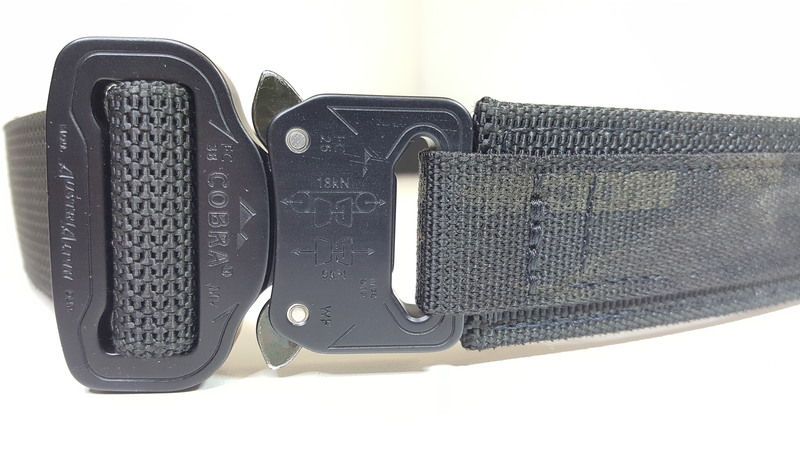 The other side of the buckle is a male 1.5'' Cobra with adjustment allowing the user to adjust to their preferred tension within about a 4'' adjustment window. That's about 1 pant size up and 1 pant size down if we have an accurate waist measurement. 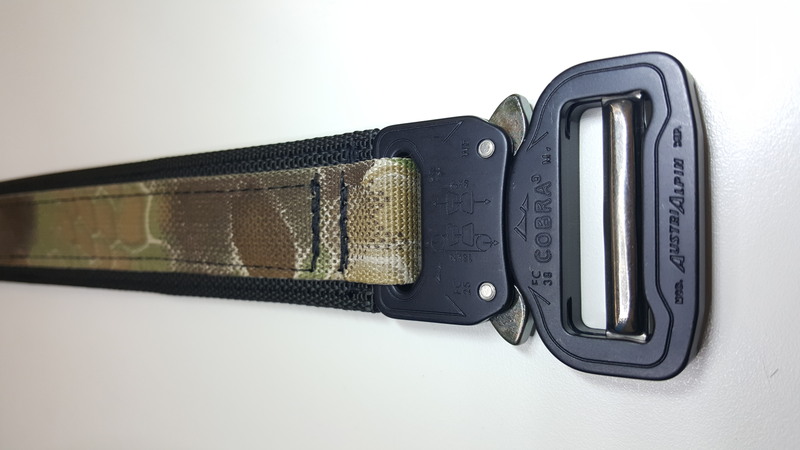 Constructed using our Super-Stiff 1.5'' base webbing, this belt design combines the reliability of a Cobra Buckle, the convenience of a thread through design and the rock-solid stability that our 1.5'' belts are known for...Plus, you can personalize to your individual tastes with numerous accent webbing and thread color choices! Call or message us for more details... or ORDER YOURS TODAY!!! This is my third belt from Deadeye. I love the idea of a functional item that is customizable and unique to me and my tastes. I was surprised to find this was stiffer than the 1.75: belt in a good way. Rob really takes care of the customer. 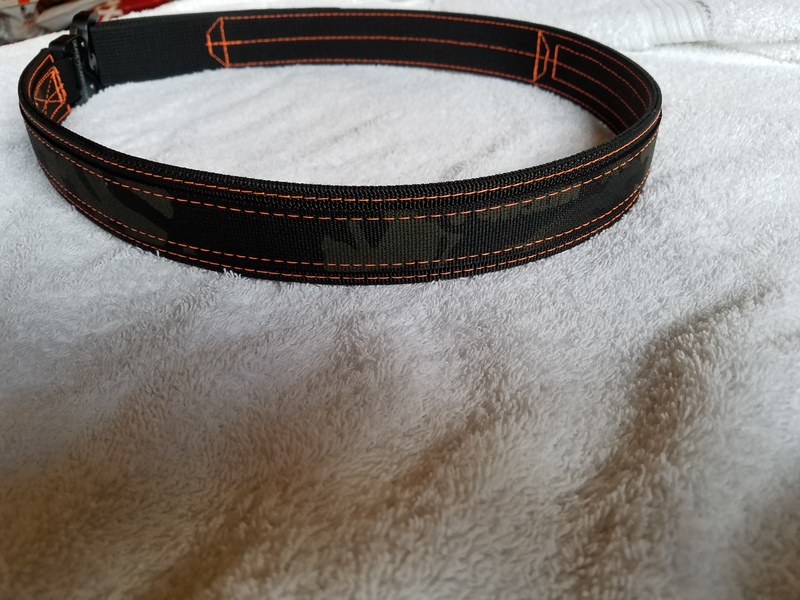 if you are considering this belt I promise you won't be disappointed especially if you like to have something unique like I do. I have 3 cobra belts from 3 different companies. Snake Eater, Blue Alpha and now DeadEye Carry. Out of all those this DeadEye Carry belt is by far my favorite. 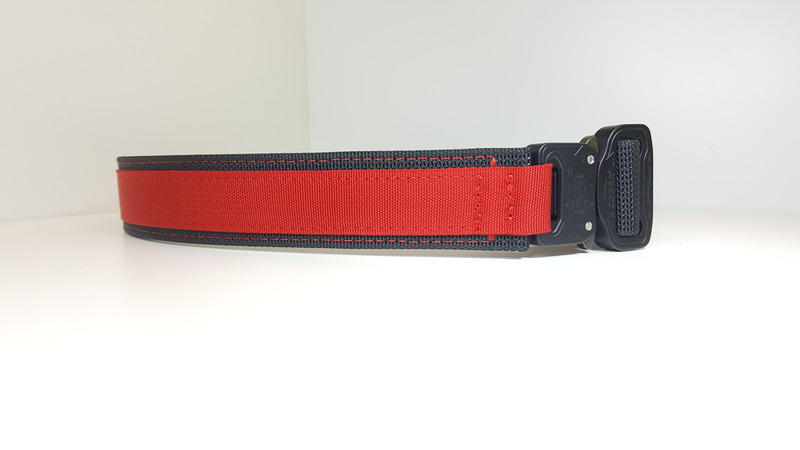 The belt is stiffer than the others and has the MOST custom options out there and the price is fantastic. Robert Linco (senior solution engineer) was a pleasure to communicate with and seems up to the task to do anything in his power to make you a happy customer. I expected the quality to be top shelf and they absolutely delivered. This will be my first Resort anytime I'm interested in looking for a new gun belt and I would happily promote this company wherever I can. 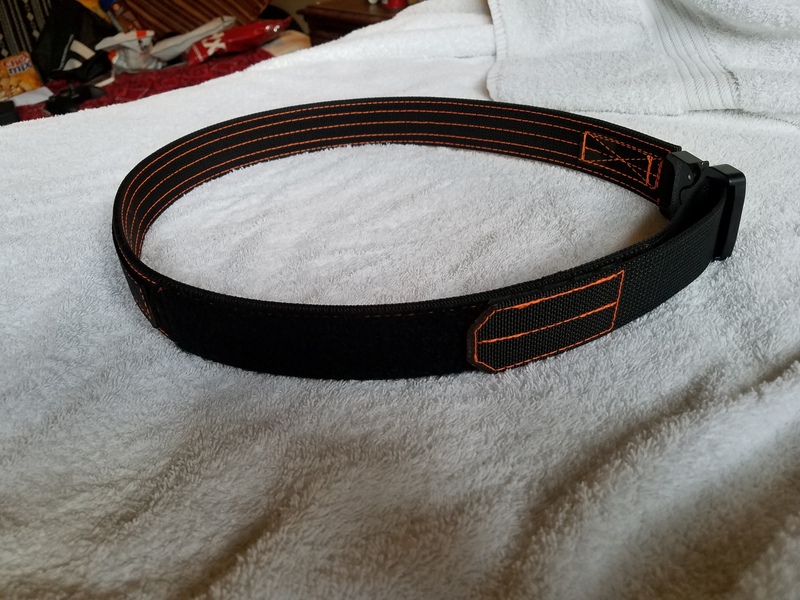 I had the pleasure of speaking with the owner, Rob, about a couple questions I had on the Hybrid belt. He was happy to chat with me for 20 minutes and send me pictures to help me with my decision. I ended up ordering the belt on a Friday night, to my amazement the belt was completed and shipped the very next morning! It arrived on my doorstep first thing Monday morning. This is unmatched customer service and work ethic. On top of that the belt is a work of art. 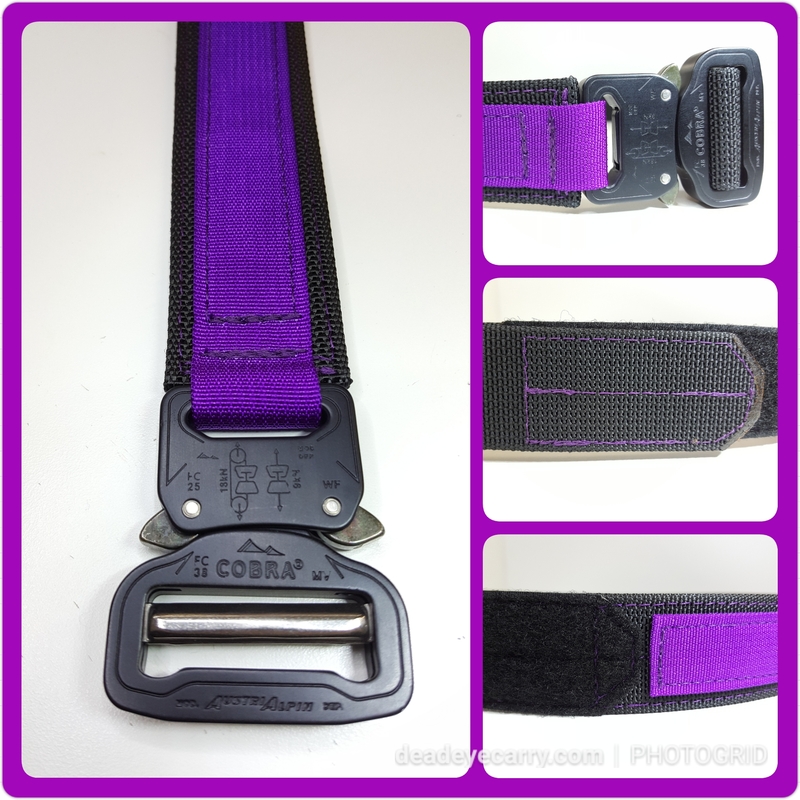 The stitching is superb and the hybrid setup of the 1.5'' buckle with the mini 'female' side is brilliant. This belt is extremely stiff too, holds my appendix carried Glock rock solid. Went with a black on black belt with teal stitching. Looks awesome! Top notch customer service, product, and execution. 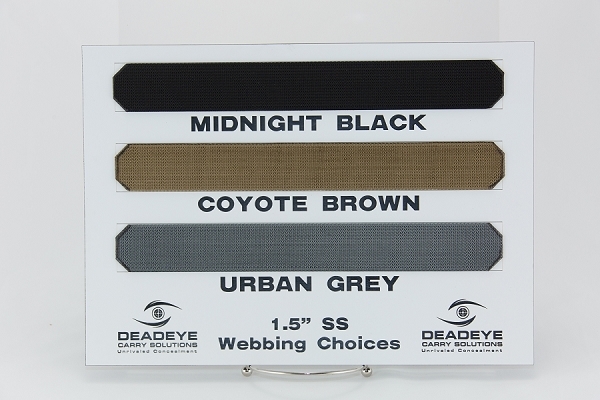 As soon as more buckle colors are available I will be ordering a coyote. First of all, buy this belt right now. You can stop your search with this one. I've tried custom belts from 3 different companies, this being the third. It will absolutely be the last, especially with its tank-like construction. Not to say the others haven't been well built, its just that this design is far superior. On top of that - customer service was outstanding, it arrived in a matter of days (instead of weeks, like the other belts), and it was packaged with extreme care. Highly recommend this belt and this company. You need this belt in your life (I sure did). This belt is amazing. I have worn leather belts for the last two decades and was interested in this for an EDC option. 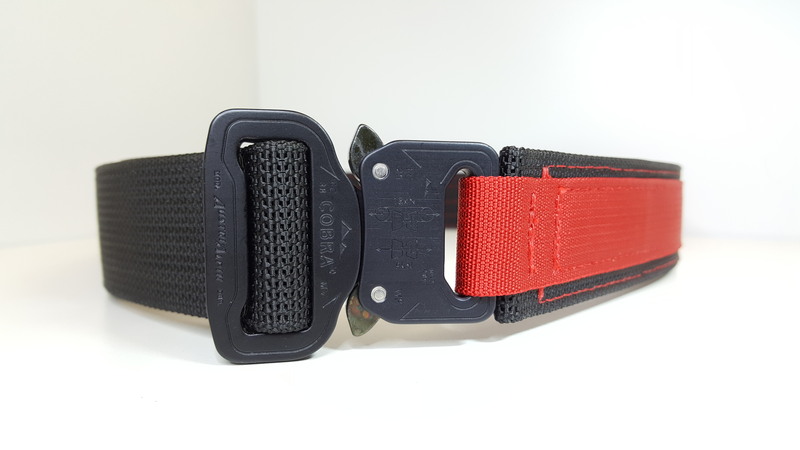 The belt is sturdy (will hold plenty of gear weight without deforming). The buckle is amazing. Fits through the belt loops on all of my jeans with no problem. Came sized and ready to go. Fast turn-around with great customer service. I will definitely order from Dead-Eye again!!! I really cannot recommend them highly enough. Q: I'm curious on two things. First, can you please explain the extra 10$ for the loop or hook velcro on the inside of the belt. What is it for? And second, I'm curious of the quality of the stitching when you're using accent colors. If it's not done really well and symmetrical it doesn't look good. From what I can tell in the pictures it seems like some of the stitching is near perfect and some of it is a lot less than perfect. What kind of assurance can you give me that the stitching will be on the near-perfect side. Sorry if that seems like a weird question but I'm a stickler for that kind of thing and I'm extremely interested in your belts. Thank you for your time. 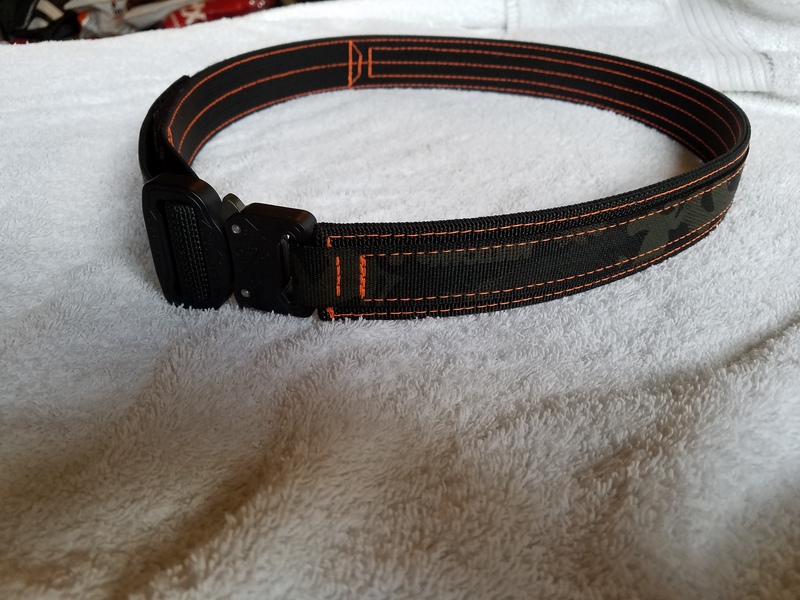 First, can you please explain the extra 10$ for the loop or hook velcro on the inside of the belt. What is it for? 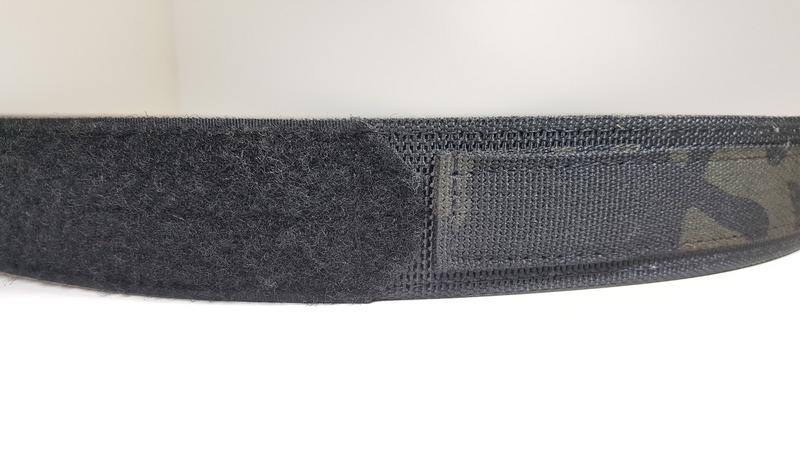 The addition of hook Velcro on the inside of the belt is generally for use as an outer or duty belt. Folks who carry a lot of gear like law enforcement, SWAT and tactical types wear two belts; an inner and an outer belt. There is usually loop Velcro on the outside of the inner belt which then mates to the hook Velcro on the outer belt. 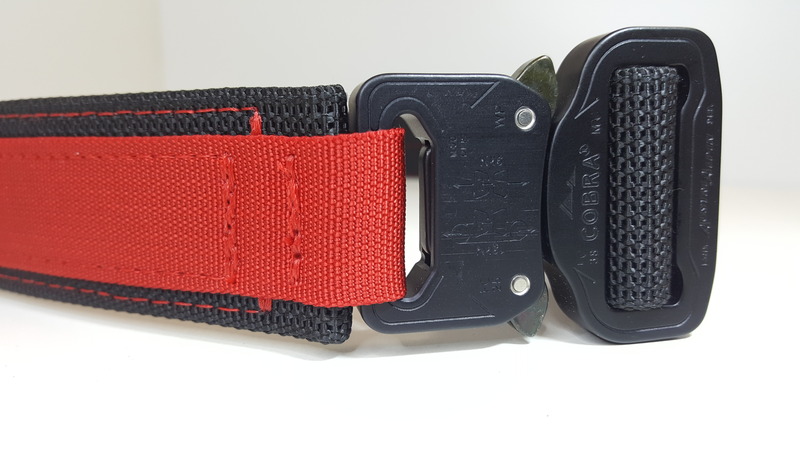 Locking the two belts together adds to the stability of the entire payload by means of attaching to the inner belt which is the only belt threaded through the belt loops. 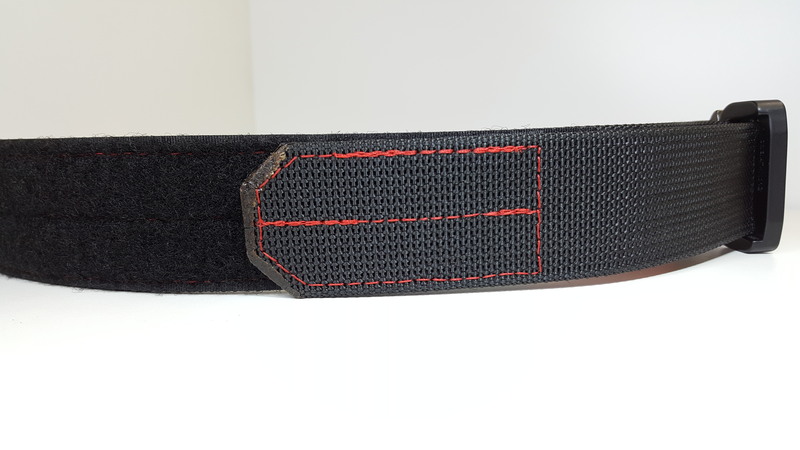 Loop Velcro to the inside of the belt is generally done for those who have hook Velcro on their holsters, magazine pouches, knives, etc. as a way of locking those items in place on the belt. If you ever arrive at that level of training your instructors will advise you to come prepared with this type of gear. Until then, you’re probably better off without it. And second, I'm curious of the quality of the stitching when you're using accent colors. If it's not done really well and symmetrical it doesn't look good. From what I can tell in the pictures it seems like some of the stitching is near perfect and some of it is a lot less than perfect. What kind of assurance can you give me that the stitching will be on the near-perfect side. I hope this answers your questions completely, but let me know if you have any other concerns. 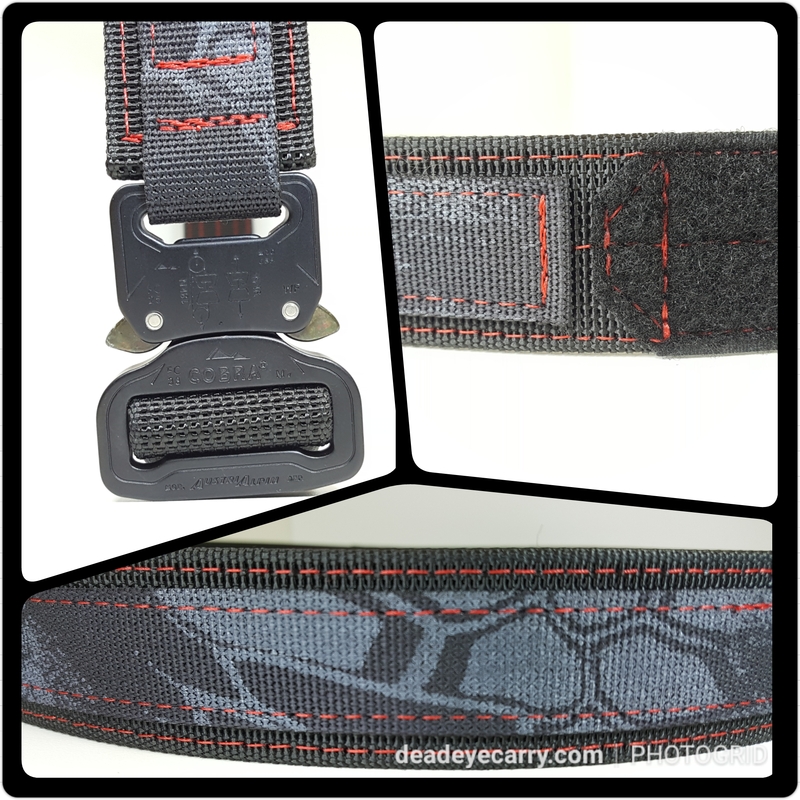 Q: Does the accent webbing run the entire length of the belt? A: The accent webbing begins on the inside (or back) of the belt and then runs all the way to where the loop portion of the hook and loop ends - Hope this helps! 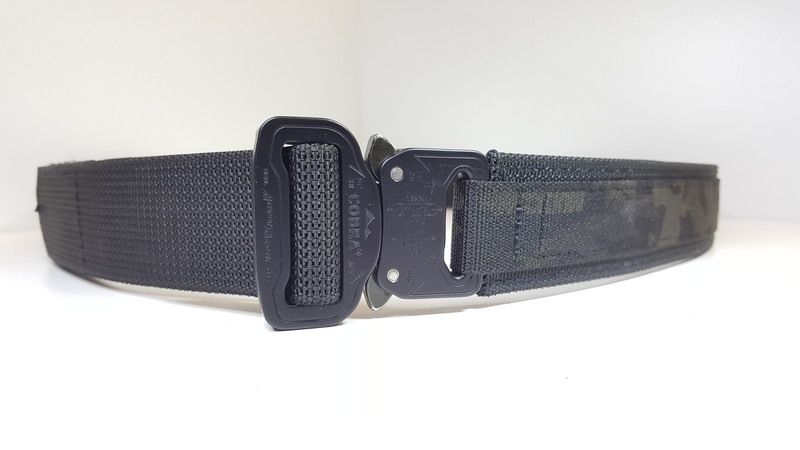 Q: How stiff (rigid) is your belt compared to say, Kore Essential Belts, or Blue Alpha Gear’s Hybrid EDC Belt? 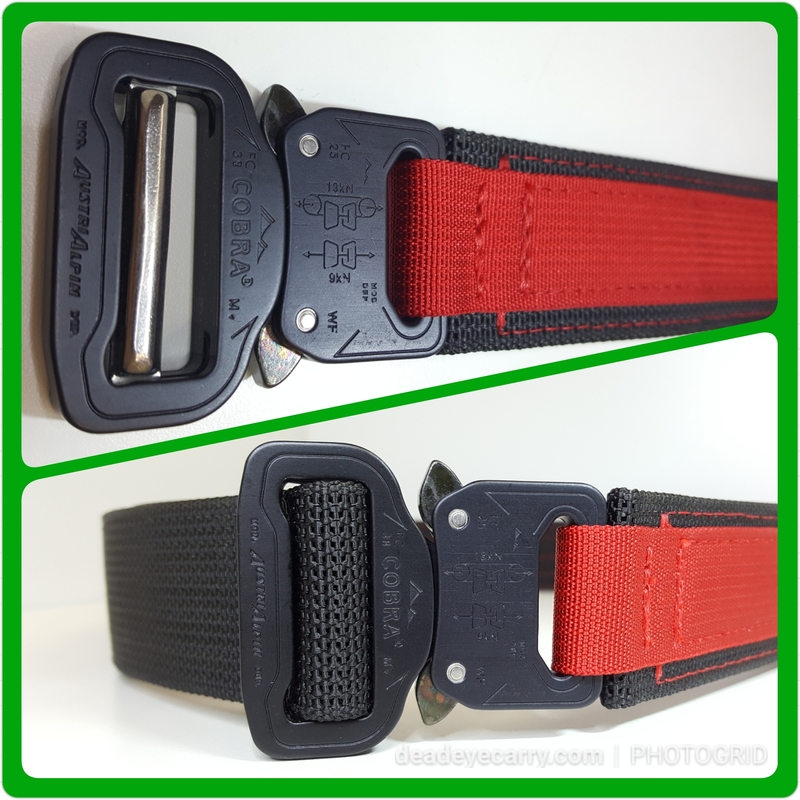 Is your belt adjustable 1 or 2 inches either way, by way of Velcro? A: This belt style has a total adjustment window of about 4''. 2'' up/down from the measured size. We believe our belt is as stiff or stiffer than any other belt we have owned or inspected. Our webbing is made in the USA. We tested many different webbings from a variety of distributors and manufacturers. 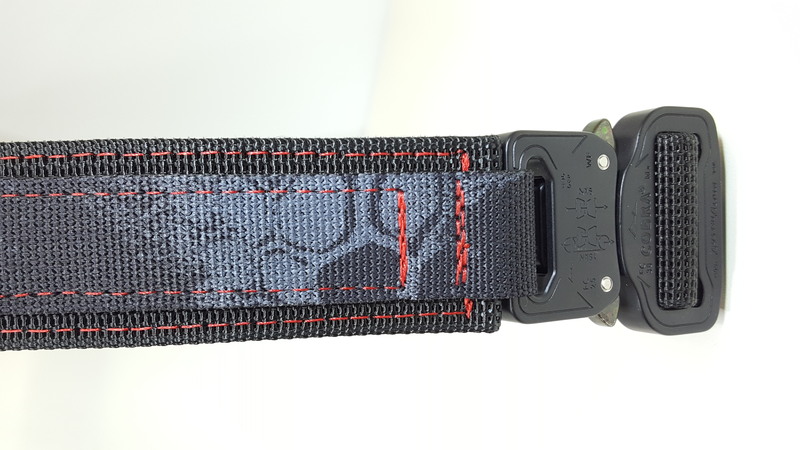 After the testing was complete we felt that not only are our belts stiffer than the competition, but we were thrilled to have three awesome colors in this webbing. Hope this helps!